This meeting has been repeatedly postponed. The heads of governments of the Organization for Democracy and Economic Development (Georgia, Ukraine, Azerbaijan, Moldova) member countries are slated to meet in Kyiv on March 27. "Volodymyr Groysman invited [Prime Minister of Moldova] Pavel Filip to take part in the Summit of the GUAM Heads of Government on March 27 in Kyiv," Groysman's press secretary Dmytro Stolyarchuk reported inb his microblog Twitter on 13 February. Earlier, it was reported that Ukraine is counting on the participation of Japan and the United States in the GUAM meeting in Ukraine. Prior to that, the meeting was planned to be held in late 2016, but it was postponed to February 2017 over the working schedules of GUAM premiers. The talks were supposed to address the issue of free trade areas among the GUAM countries, the expansion of economic cooperation and the possibility of establishing business cooperation bodies. 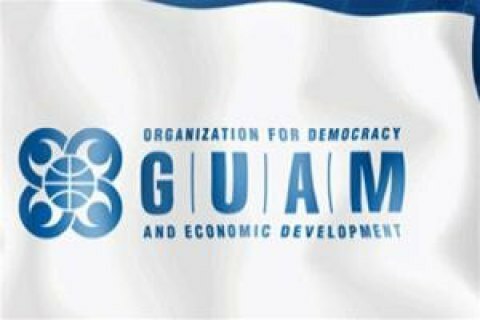 The Organization for Democracy and Economic Development (GUAM) is a regional organization of four post-Soviet states: Georgia, Ukraine, Azerbaijan, and Moldova.